Found this while going through some older thesis work. 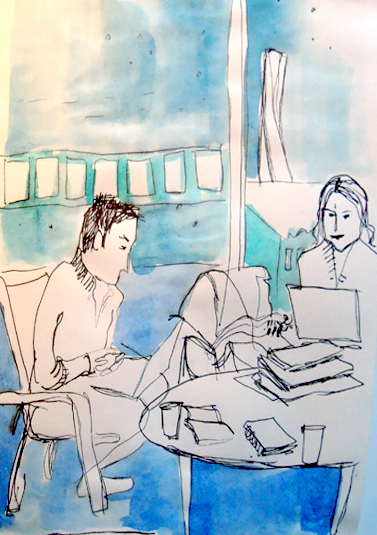 Here’s Aaron and Katrina working in Orkanen, in the early days of our master thesis. And there’s the Turning Torso in the background. Haha the thesis has been great for inktales i say!! !